Client Testimonials and Customer Reviews | Joe Hayden Real Estate Team - Your Real Estate Experts! Working together as the Joe Hayden Real Estate Team, we are very thankful for our loyal clients. Our business is one of close relationships and we are very fortunate to be able to share so many positive real estate experiences with our clients. Your satisfaction is the ultimate reward for our work and it is why we strive to be Your Louisville Real Estate Experts! We used Joe Hayden to sell our home in Louisville last summer and he was outstanding. Before choosing a real estate agent, I conducted a lot of research to see who would be the best choice based on the investment they make into selling the property (time and effort, not necessarily financially) and how they promote their listings. The Joe Hayden Real Estate Team stood out as the best Louisville has to offer: their organic rankings are excellent (meaning people find listings on his site easily), their social media presence was strong, and I could tell they put a lot of work into their listings. We spoke with Joe and then met with him at our home. He spent hours answering our questions, providing objective data regarding how many homes they sell, how long their listings typically stay on the market, and providing tons of info on comps in the area. We were concerned that our house, which was located pretty far from downtown and in a neighborhood with hundreds of similar homes would be tough to sell. Joe made the process incredibly easy and took extra steps many other Realtors don't (but should), like having a pro come and give us staging tips, having professional photographs taken, and a lot more. When we saw our listing we were blown away. His hard work and knowledge of what it takes to sell a home really paid off - our listing looked amazing and knocked out the competition. The second buyer that saw the property put in an offer. Our house went under contract 4 days after we put it on the market at 1% under asking price. We accepted and Joe (and Anne, who was also incredibly friendly and helpful) walked us through every step of the closing process. It couldn't have been a more pleasant experience. I've recommended the Joe Hayden Real Estate Team to everyone I know. He's a true professional and a genuinely nice guy. I realize it won't always be this easy to sell your home, but I think you'd be hard pressed to find a better Realtor. When we first met Joe Hayden, he explained that his job is more service than sales. He proved that time and again with his thorough knowledge of home construction and the local market. Every time we viewed a new property Joe would perform a methodical inspection, looking for signs of problems and commenting on the quality of construction, finish, appliances, etc. Joe also led us through multiple rounds of negotiation to get to a price we were comfortable with. In the end we found the property that was perfect for us and are loving it so far. My favorite Joe saying ... "the minute you buy a property you become the seller". We were so fortunate to have found Joe Hayden when we moved to Louisville. As our Realtor, he helped us find the right house in the right neighborhood for the right price. He was patient as we traveled from Ohio to look at homes over several months and cautioned us about making unreasonable offers when we fell too quickly for overpriced homes. In short, he was always on our side working to make our house purchase as simple and successful as possible. The best part about working with Joe was that he was always more focused on answering our questions, giving us good advice, and finding homes that met our needs than he was on closing a deal. We would recommend him to anyone. Throughout my adult years, I have had the experience of purchasing a few different houses. As my family began to grow, I recently found the need and desire to purchase a larger home. I spoke to a variety of different realtors that showed me a variety of homes until I found Mike Gibson. When making such a large decision, I wanted to work with someone that I could trust. Throughout the past several months, Mike has been there every step of the way. He has always answered every call or email no matter what time of day or night it was. His professionalism, mentorship, knowledge, honesty, and hard work ethic are much respected and appreciated. I never felt that he was just trying to sell me a house, but that he was a mentor to answer my questions and help me to make the best decision for my family. I now consider Mike a friend and would highly recommend him to anyone that is searching for a new home. Thanks again to Mike Gibson and the Joe Hayden Real Estate Team for being such a pleasure to work with. We can't speak highly enough of our experience with Craig Greenwell. We were first-time homebuyers with very little knowledge about how to find the right place. We met with a couple of realtors before Craig, but we knew instantly that he was the one for us. He is honest and hands-on (he even crawled into creepy attics to check insulation for us! ), and he really helped to take the pressure off of us. We never felt forced to make an offer and when we finally found the "one" and ended up in a bidding war, Craig walked us through every step of the negotiations, even suggesting that we write a letter to the sellers to explain why we thought they should choose us. It was an unconventional approach but it worked and we thank Craig for that every day! We have several friends looking for homes and thinking about selling, and we always recommend Craig to them! I recently had the pleasure of working with Joe and Anne Hayden when looking for my home. From day 1, Anne was extremely responsive and had great suggestions for homes to view based on what I was looking for. All throughout the negotiations and closing Anne and Joe were there quickly handling any issues that may have risen. If the time ever comes when I will be looking for a new home, there isn't any question on who my Realtor will be! Paul and I are soooo fortunate in getting connected with Mike Hubrich of the Joe Hayden Real Estate Team during our search for a new home in Louisville. We had sold our home in Florida and were returning to our hometown. We bought our home there 34 years ago in anticipation of retirement and became full time residents there about 16 years ago - now time to come home to Louisville! It was a bit hectic and perhaps even traumatic to leave such a beautiful home and climate --- leaning on Mike during this transition sure made it a lot less stressful to say the least! Mike was always calm, listening to our every request for information. He was immediately responsive to our questions to help us in making a decision. Mike was there for US! We would, and will, recommend Mike to anyone in the market to purchase a home. We will also look to Mike when we have any future real estate needs. We were impressed with Mike's professionalism and his genuine interest in assuring we were satisfied with our final decision on our new place. The best part is that we now have a new friend - a friendship that will continue to grow! I had the pleasure for working with one of Joe's team members Sally Hall. From start to finish she was very responsive, kind, and a constant professional. I look forward to the opportunity to work with her and the Joe Hayden Real Estate Team again. We worked with Anne Hayden in the spring of 2015 to sell our home, and we couldn't have been more pleased! We received multiple offers the first day the house went on the market, thanks in large part to Anne's incredible work. Anne brought in a fabulous photographer and videographer to showcase our home online, which created much more foot traffic and brought in serious buyers. She also brought in a designer to help stage our home, which helped make it more appealing to a larger group of potential buyers. Their marketing team is top notch and can't be beat! Although we received multiple offers, we ended up working with nervous first time buyers. Anne was wonderful in keeping the transaction moving along and getting to closing in a timely manner. She was always available to answer our questions (and the buyers!). She was so responsive and is the sweetest person. We had a great experience! Trevor Gill of the Joe Hayden Real Estate Team worked with us from mid-August identifying the right property to meet our needs. He was always accessible and willing to make a variety of suggestions and options as we tried to. Are the right decision. We feel we have a trustworthy agent, as well as a friend! Thank you,Trevor! We were first time home buyers relocating from the Chicago area to Louisville. We selected the Joe Hayden Real Estate Team based on reviews we saw online and we were so lucky to have chosen them. We worked with Crystal Dries and she was wonderful! She had a great knowledge of the surrounding area and knew exactly what we were looking for. She was very responsive to our needs and was always available when we needed her to be. Anyone looking to purchase a home would be lucky to work with Crystal. I would need many more than 140 characters to explain how awesome Mike was throughout the entire home purchase process. From the work he did prior to the exploratory trip, great communication during the search, timely on-going communication, and then most importantly through the inspection and closing process. He's a true pro. If you are moving to the Louisville area--there is only one realtor to use--and that is like Mike Gibson of the Joe Hayden Real Estate Team. He pretty much became part of our extended family as a result of our purchase process. I'll never use another realtor and neither should you. His greatest attribute, "he listens" and then asks thought provoking questions which insures you get what you really want. Anne Hayden sold my house and Selby Houston helped me to buy a new one. Two of the hardest working people in the business. They treat you like family, and work as hard as they can for you. If you are going to sell of buy a house I recommend you go with them and the Joe Hayden Real Estate Team. If I was ever going to sell or buy again they would be the first people I would call. I was referred to Mark Stratton, a Realtor with the Joe Hayden Real Estate Team at ReMax and I am so glad I was. I had been looking for a home for several months. I did not have an actual Realtor because I could not seem to find one that could or would consistently help me find a home. Mark was the first to really listen to me. Find out exactly what kind of house I was looking for and where, and anytime a home came on the market that matched my criteria, made sure I knew about it immediately. I had to search Zillow and then ask previous Realtors I'd had if they could show me a home and then hope they could find the time. Mark always made the time. If it wasn't exactly when I asked it was within a half an hour and he was always already at the home and waiting for me with answers to any questions I might have about it. If he did not know the answer, he found it, then and there. Mr. Stratton is also incredibly personable. On top of being exceptionally good at his job he felt like a friend after the first showing and certainly is a friend now. I was very picky when it came to finding my home. It took 8 months with numerous showings. Mark worked hard for me and never gave up even when I almost did. I am happy to say I am in my first home now, thanks to Mark's efforts and I'm very grateful. I love my new home. I would recommend Mark Stratton to anyone who wants a realtor who takes them seriously, cares that you, the client, gets exactly the home you are looking for rather than quickly trying to "sell" you for a commission and move on and will work hard to make sure that you not only find a house, but your home. We couldn't be happier with how we were treated and worked with by Crystal Dries of the Joe Hayden Real Estate Team. She was extremely responsive and very pro-active on communicating with us, from the sale of our house to the purchase and construction of our new house. I wish I could find some criticism to help her better herself in her career, but I honestly can't think of anything that she could have done differently or better for us. We had some difficult moments in both aspects (selling and buying) that I'm not sure any other realtor would have had the patience to deal with us on these issues and walk us through them as methodical and calm as she did. We weren't entirely sure what the process would entail and how much work it would take, but Crystal was VERY informative and you could tell right off the bat that she knew her career and had our best interests in mind. We were very confident using her and have already recommended her to several of our friends and will continue to do so. We don't think Joe Hayden could have a better realtor out there representing them. We are so lucky that we found Trevor Gill of the Joe Hayden Real Estate Team, he made buying our first home an enjoyable and easy experience. Quick to respond and will do anything to help, we highly recommend Trevor! Joe Hayden is a very professional real estate agent who listened to our specific wants and needs. Since we are from out of town, his knowledge about East Louisville and Oldham County area was most helpful. I needed handicap accessibility which is hard to find, and Joe did not waste our time looking at property that had no potential to meet my requirements. We highly recommend for all your real estate needs. Anne Hayden was referred to me by another realtor out of town. That realtor provided us with three names and we interviewed all three and were so very impressed by Anne. She was truthful (first of all), answered all our questions; gave us her opinion and then backed her opinion with believable stats. Did she agree with us 100% of the time? No. But that is what made her stand out from the rest. And when she didn't agree, she showed us the reasons why and then suggested alternatives. Oh yes, our home had two contracts first few days. AND anytime I called or texted she was back with me almost immediately. NOT days and NOT her assistant. One time it was 4 in the morning. Can't go wrong here... Go with Anne Hayden and you better hurry before she's too busy to take you!!!!! I had just started my search for a home, not really expecting to buy right away, BUT Trevor Gill of the Joe Hayden Real Estate Team listened to my needs and as soon as he found one he contacted me. I looked, knowing already it would meet my needs, placed an offer and boom Trevor worked back and forth with sellers agent, to get the best offer. Not the one that I wished, but one that would work out. Trevor explained the process every step of the way. He was great to work with. Just call Trevor. Calling Craig Greenwell to help sell our home turned out to be the best decision of our transition. We knew we were getting a great person on our side, but he surpassed our expectations. Upon his first visit, we already had a solid plan to sell our home. He left us with a list of tasks to focus upon and prepare our home to show. This is where Craig's connections started to add value. He recommended an excellent finance agent to assist in purchasing our new home, connected us with top-notch electricians and plumbers, and sent us to an amazing crew of movers that made for a speedy transition and much stress reduction. To boot, he brought in a stager to help us highlight the beauty of our home. And with our staging plan in place, he even rolled up his sleeves and assisted in prepping the house for market. Craig knows the Highlands. His selling price analysis was a precise exercise in which his knowledge of the neighborhood provided insight into the our market. This resulted in a final sale very close to our asking price and well above our original expectations. In addition, he knew how to market our home. The pictures on our listing made us almost regret selling the place! It blew us away when Craig called just four days after hitting the market with a great offer on our house. We accepted and Craig was there to advise us every step of the way all the way up to closing. We put our trust in Craig and it paid off. We'd never bought a house before and weren't sure what to expect. Joe Hayden had been highly recommended to us. Let me tell you he (and his team) EXCEEDED our expectations. He has a very kind demeanor, knows his stuff when it comes to homes, resale, inspections, specs, etc. I felt so comfortable with Joe. He was great about making appointments immediately, he always got back to us, and his advice was incredibly useful. I'd love to have "Joe" wherever we move in the future. He wasn't pushy at all, worked with our budget, and gave great advice about areas, schools, future resale, etc. His team was also lovely to work with. His wife Anne, is a sweetheart, she's great about communication and can answer any questions you have at a moments notice. We can't say enough wonderful things about Joe Hayden and the Joe Hayden Real Estate Team. A++!! We LOVE OUR HOME! Anne Hayden of the Joe Hayden Real Estate Team was exceptionally helpful during our search for a patio home in east Louisville. Over the time frame of two months we emailed Anne dozens of times with questions. The queries were always promptly and clearly answered. What is most important, from initial search through escrow closing, Anne watched out for our interests. A superb real estate company. In January 2015 I found my dream home. I called about the listing and at the time did not have a Realtor. Remax Properties East and the Joe Hayden Real Estate Team assisted me by assigning me a Realtor. The lady I spoke with on the phone said I know the perfect Realtor for you. I gladly gave her my contact information and we soon made contact. My Realtor was very professional and knowledgeable. Soon there after we made an appointment and had our first viewing of this magnificent house and property. I knew right away this was the one but, I looked at a few other listing just be sure as advised. My Realtor guided me through the process first by placing a contract on my dream home. The contract was based under the contingency that my house sold within 45 days. Next my Realtor came out to my house and prepared my listing. He was very helpful and knowledgeable in preparing my house for listing. I listened and understood the advice given to me by my Realtor. It was twelve days later and my house was ready to list and the listing went live. The first week of a new house listing is the most important as you may already know. Two days into the first week after the listing going live we had three showings. Followed by a contract which went all the way to closing shortly after. My Realtor became my best friend he guided me every step of the way. He made sure as we moved forward that I was well informed and that I was in agreement with everything taking place. He truly was my best teammate and a great negotiator. He knew what was around the corner before we approached anticipating every move and ready to counter professionally. Together we approached our next deal. Like before, he was there for me every step of the way as we moved forward but this time we were buying. After looking back at the deal, the negotiations, home inspections, repair request list, helping communicate to lenders, getting us to closing on my dream home, I realized I could not have done this alone. At that moment, I deeply understood the importance of having a great agent and considered myself blessed to have Mike Gibson as my Realtor. If you want results I strongly recommend using the Joe Hayden Real Estate Team, if you truly want the best agent ask for Mike Gibson I promise you won't be disappointed. Mike and I still talk frequently and have become good friends, and he will be my Realtor for life. We had the pleasure of working with Craig Greenwell from the Joe Hayden Real Estate Team and he was fantastic! We are first time home buyers and Craig was patient and answered every question we had. He was very knowledgable and honest with his opinions about all the homes we viewed. We highly recommend Craig! We bought our first house using the Joe Hayden Real Estate Team and our Realtor Mike Hubrich made the experience wonderful! I was so nervous about buying a home for the first time and all of the expenses, but Mike made it a great experience for us and we are now proud homeowners of an awesome home! I have recommended many people to Mike and continue to do so! When we learned about the Joe Hayden Real Estate Team our house had been on the market for about 9 months. After we contracted with Hayden team to sell our house, it was sold in less than a month. Anne Hayden was assigned by the team to work with us. Her professional attitude impressed us deeply. She arranged staging meetings, hired a staging expert to redecorate the house, made an improvement plan for the house and immediately lifted the standard of its marketability. She knew where to start and where to stop. We have worked with real estate agents on various occasions before. But the Hayden team is the one we most want to introduce to anyone who wants to get our reference. A good team or agent can help you save time and money, and can liberate you from anxiety and fatigue. Crystal Dries was wonderful and easy to reach. She expertly handled all our first time home buyer questions (and we had a lot). She helped us find a great place at a reasonable price! We highly recommend her and the Joe Hayden Real Estate Team to friends and family, and we plan to call her when we decide to move into a bigger space. Home selling and buying is incredibly stressful! Thankfully, we had a great team at the Joe Hayden Real Estate Team to walk us through the process and make our experience as stress-free as possible. Before we listed, their staging expert helped us make our home show worthy. Their professional photographer took amazing photos and video for the web listing. Our home was priced just right for the market. All of this preparation helped us to sell with multiple offers on the first day we listed. We only showed our home once, during the open house! Navigating through the closing process was luckily stress free as well. We always felt like our Realtor Craig Greenwell had our best interests in mind and were kept informed about every aspect of the process. We could not be more pleased. Next, the Joe Hayden Team is helping us with the stress associated with building a new home! Crystal Dries of the Joe Hayden Real Estate Team is one of the best agents we have ever worked with, she goes beyond any expectation and gets things done. You are very lucky to have her represent your team. Thank you so much, Crystal!!! We had Mike Gibson from the Joe Hayden Real Estate Team as a buyers agent after my parents had such a wonderful experience with him as a sellers agent (their house sold in a day!). He was absolutely wonderful. He helped us look at houses for what we would potentially have to fix, what issues with resale might be, and he stayed right in the price range we asked for. While I would expect this from any well trained agent I work with, he went absolutely above and beyond when the bank made some mistakes with our loan. We were stuck with moving dates, but the closing date changed too after the movers were to arrive at the house. We had multiple other appointments with the house as well. He really went to bat for us to get everything right and get us in the house before the movers arrived. I felt like he fought for me the whole way and we trusted him with anything that came our way. He did an amazing job!! What a great firm to work with! My family began working with the Joe Hayden Real Estate Team several months ago guiding and advising us on getting our property prepared for the market, and once we reached that point we had a buyer within two days. The professionalism and assistance showed by Anne Hayden was incredible, she gained the trust of my family from day one and we knew we were in good hands throughout the process. If you are a buyer or seller I would highly recommend the Joe Hayden Real Estate Team to handle your business needs. My first home buying experience was easy and painless thanks to Crystal Dries of the Joe Hayden Real Estate Team. She worked with us on our schedule and was always easy to get in contact with. She always kept us in the know and stayed on top of the seller. I would highly recommend her to anyone! I would like to say that Mark Stratton and everyone involved with the Joe Hayden Real Estate Team did a wonderful job. I recently told Mark that even though my house that I sold and purchased wasn't high end I really felt like Mark treated me like it was. I had hoped that I would be able to sell my house quickly and the Joe Hayden team delivered on that. If I remember correctly, I had an offer within 24 hours of listing. I have a little sales experience myself, but Mark showed me what it's like to be a professional in his field. Mark always followed up and checked in with me on a regular basis. His advice with getting my house ready for the sale was instrumental. Overall, I am very pleased and happy with Mark and the team with helping sell as well as buy my home. I will definitely go online and give a great review. Thank you and especially to Mark as well as everyone else that was involved in selling and buying my new home. A short note to tell you how much Mike Hubrich of the Joe Hayden Real Estate Team helped me through the whole buying and selling process. I now live alone and have never been completely involved/responsible for all the intricateness involved. He patiently explained every step of the way to me and gave me step-by-step instructions on how to proceed. He never pressured me or tried to show me homes above my stated price range. Also, he was always prompt in replying at any time of the day or evening. (When does he eat and sleep?) I most certainly will recommend him any chance the occasion arises. My family and co-workers can readily attest to my praises of him for his great help through all phases. It has been a real pleasure to get to know Mike. Craig Greenwell was an exceptional agent! He was very knowledgable, friendly and truly cared about our family and our needs. No matter what time of day or night it was, if I had a question Craig would respond. We had a very unique home in an area that would take a specific buyer. Some of the homes in our area would set for months, even a year and not sell, due to the uniqueness of the area. Craig marketed and sold our home in 12 days! He has a wonder group to work with, the Joe Hayden Real Estate Team, and I would HIGHLY recommend Craig Greenwell to help sell or buy a home. In my case, he helped us sell and buy within a couple of months. Great work Craig!! Crystal Dries of the Joe Hayden Real Estate Team is amazing! She was able to be completely honest with us on what we needed to do to help our house sell, which we greatly appreciated! She is very knowledgable and with her help we were able to sell out house just a few hours after listing for over asking price! Very easy to work with and quick at responding. She also was very helpful in negotiating with the sellers of the house we bought. Thanks Crystal! We could not have asked for anything any better than how Anne Hayden of the Joe Hayden Real Estate Team represented our interests in selling our house. Her response time in getting back to us anytime we called was incredible - maybe the longest time in returning our call was possibly five minutes on a Sunday morning. From the time we contacted her until the time we closed she treated us like we were her only client she had and selling our house was her main goal. We just could not say enough - thanks Anne (and Joe). What can I say about Trevor Gill of the Joe Hayden Real Estate Team? He is not only a great human being, but has an extreme abundance of patience and understanding. I have never purchased a property before and I admit that I was a bit overwhelmed by the whole process. Trevor was there every step of the way, giving me honest advise and direction. I would be hard pressed to ever recommend anyone other than Trevor Gill and team. Thanks for all you have done for me. I am extremely happy. Anne Hayden is so amazing! While house shopping she not only told me all the good things about the houses but pointed out things that may need a little fix. I was VERY appreciative for that. No smoke and mirrors she was truly there to help me find the right one. She was very responsive, prompt and answered all my “first time home buyer” questions. From the first house I looked at until closing day Anne was there by my side and I am so thankful! I couldn't have found my home without her. Thanks Anne Hayden and the Joe Hayden Real Estate Team!!! Mike Gibson of the Joe Hayden Real Estate Team genuinely cared about helping me find my first house. He walked me through every step and offered his insights without over-powering my tastes or concerns. I appreciate all his help. Bought a house and then sold 4 yrs later. Very professional. Worked with Craig Greenwell with the Joe Hayden Real Estate Team. Great service. Nothing was overlooked. Attention to detail. He was spot on with selling price. Point of fact, the Joe Hayden Real Estate Team was the first one to respond to my email inquiry. It was the only company that listened when I gave the parameters for our search. Another Realtor kept sending us homes that were not what we specified, despite my repeated attempts to correct this. A meeting was arranged with Crystal Dries, not only on the phone, but in person. Because we had little time to waste between the sale of our home in Virginia and buying a new one, Crystal lined up all the homes we wanted to see from the various listings that she sent us, and it must have been dozens on the website, for one day. We signed a contract that same day. I appreciate efficiency. I appreciate knowledge in a field. She has both. I am more than happy to recommend her. Even the closing was a simple, smooth matter. You all get two thumbs up from me!! No complaints whatsoever. Anne Hayden is a sweetheart and everything went as smoothly as I think it could. Thank you all for the experience! Shawn Hogle of the Joe Hayden Real Estate Team is the real deal. We flew from Orlando to Kentucky to view homes. Shawn spent an entire weekend helping us, we looked at numerous homes and we found the perfect home for us. Shawn devoted hours, days, and never once hesitated to meet our needs. And, he never complained once about the fact that he missed most of March madness to chauffeur us around the area. We felt very comfortable with Shawn, and he is the reason we are now home owners in the Bluegrass State! Shawn and his awesome assistant Sally Hall really know how to treat folks! Thank you!!! Joe and Anne Hayden, and their team, have helped us purchase two homes and sell one. Their friendliness and professionalism made the process a pleasure. I recommend them to anyone who is looking for a quality team of Realtors. In completing this review I was able to rate all of the things that we appreciated about their work. They had great knowledge about neighborhoods, were very clear as we took each step through the process, answered emails, texts and calls very quickly, and were an asset during the offer process. Craig Greenwell was a phenomenal agent! His dedication to finding us our first home was more than we ever expected. He was so patient with us as we toured homes far outside the Louisville metro area late into the evening. With our budget in mind, he was able to look at questionable issues in some of the homes we toured and provide completely honest feedback. His judgment was priceless, as we were first-time buyers and unfamiliar with the many aspects and decisions involved in buying a home. Craig's negotiation skills were also excellent. The home we selected for purchase was somewhat of a fixer-upper, and Craig's skills enabled us to get the price lowered to account for the repairs and renovations we intended to make. Craig was always available for phone calls, texts, and emails. There was never any waiting around for him to respond and, in a competitive market, that was a very valuable thing to have in an agent. Overall, Craig is exceptionally knowledgeable, extremely patient, and very dedicated to his clients. We completely and fully endorse his services, and the services of the Joe Hayden Real Estate Team, to anyone buying or selling a home. Anne Hayden sold our house in one day! They provided advice in staging and the pictures were gorgeous. We could not have asked for a better result. I would most definitely recommend the Joe Hayden Real Estate Team! My new home purchase was made pain-free thanks to Joe Hayden. I was looking for a specific kind of property with acreage, and he searched the Metro Louisville area for suitable showings. We looked all around Crestwood and J-Town. His experience and professionalism quickly revealed a few places that we reviewed, then inspected. Joe knows the Louisville area market very well, and steered me away from a few lemons. I highly recommend him and will only use his expertise on any and all real estate jobs I have in the future. He is trustworthy, hard-working, intelligent, and a good listener (he asks many questions to totally understand your needs). We had our home listed on Zillow and we were contacted by Mark Stratton, a Realtor with the Joe Hayden Real Estate Team. We found Mark to be very professional and very helpful. We also had the opportunity to work with Leslie Price in the office who helped explain the process of selling our house. We listed the property in November, we had numerous showings and in January we closed on this property. Thanks for a job well done! As we were planning a relocation from California to Kentucky I began searching for an agent on-line. Mike Gibson promptly responded to an email request for information. Shortly thereafter we flew into town with only five days to find our new home and start the offer process. Mike was absolutely fantastic! He devoted a solid four days to helping us in the search, getting houses opened and guiding us all over the Louisville area. His understanding of the current market as related to specific neighborhoods was invaluable, certainly saving us time. By the end of the week we had selected our new home and were making an offer. Our experience with Mike didn’t end there though. While back in California Mike remained an essential part of our team guiding us through a long distance home purchase. Mike's wisdom, patience and perseverance truly made the difference. I can’t say enough in recommending Mike as an agent. Our family can honestly say that we were completely satisfied with the services we received through Joe Hayden and his entire team. From the beginning, we were impressed with his personal approach, professionalism, attention to detail, and hard work. While many real estate agents feel the need to upsell clients, Anne Hayden uses her expertise for the benefit of the people she works with. Unlike some other agents, she listened to what we needed and wanted during our 400-mile move and worked until we found it. Beth and I found her nothing but honest and helpful during our home search. When we go to put our home on the market the next time, the first agent we're going to reach out to will be Anne! My wife and I have spent the past 12 years working in the Louisville area real estate market during which time we've met so many real estate agents. Joe Hayden is one of the very best and has the heart of a teacher. Joe's team is who we chose to sell our own home, and we would highly recommend them to anyone buying or selling a home in the Louisville area. Craig Greenwell was the strongest possible advocate for the sale of my house. Not only was he attentive and thorough in addressing my wishes and concerns regarding the listing and showings, he got personally involved with helping me move out when the house finally sold! He knows how to go above and beyond in making sure everything is done appropriately, and most of all, he is a man of integrity, whom you can trust. This was especially important for me, since I lived out-of-state. He is the BEST real estate agent I have ever worked with! Joe and Anne Hayden not only helped sell our home but also helped us in buying our new one. The Joe Hayden Real Estate Team is amazing. They are in the ball and very quick yo respond to questions and to getting you in to look at houses. We were vey lucky to work with Selby Houston on the buying part. A very patient man who does his job above and beyond. Wonderful people. If we ever moved again they are the first people I would call. Thank you again! The Joe Hayden Real Estate Team was super helpful. We had a difficult situation. We were trying to sell our home in Florida, and there was some trouble with the buyer. We needed that house to close so that we could buy a home here. Craig and Joe bent over backwards to work with the seller here to try and close the deal. They even gave us $500 because we had to put our furniture in storage while all the negotiations were going on. I think Craig and Joe did an outstanding job! I was in the process of transferring out of state for a new position with my company. I needed a Realtor who I could fully trust and who I could call upon at times of unexpected need. Anne Hayden was that Realtor. She went above and beyond the call of duty and offered to meet vendors, buyers of household items, and took care of many of my other needs while I was away. She was highly informed and experienced with the steps in the process and made the entire sale process as smooth as it could have possibly been, considering that I was 500 miles away. She sold my house in 3 days for top dollar. Her presentation of the house was professionally done. It was always a great pleasure to speak to her on the phone. she made me feel as if I was her one and only client. She is a fantastic Realtor and a wonderful person overall. Crystal Dries of the Joe Hayden Real Estate Team was a pleasure to work with. Her professionalism and knowledge of the business was outstanding. It took me almost 2 years to find the right place and she was very patient and understanding. I would not have anyone else have my back when it comes to real estate. Meg Wilburn was really polite. I was very pleased with the houses that she showed me. A couple of times I would call her because I wasn’t sure about something with the house, and she found out everything for me. Working with Craig Greenwell of the Joe Hayden Real Estate Team was a delightful experience. Craig was patient, cheerful, and extremely helpful throughout the process, even as my husband and I figured just exactly what we wanted and needed in a weekend "getaway" condo in Louisville. I looked at a lot of places with Craig and felt no pressure to make any premature decisions. In fact, I think he may have helped me NOT get into a condo or two that could have been very disappointing. One thing I especially appreciated about Craig was his attention to detail in the negotiating and buying process. I felt confident that things were being done skillfully and correctly throughout. Finally, Craig knows a lot about Louisville and obviously loves the city. He helped us discover "gems" in our neighborhood and feel good about all the possibilities that now await us. Awesome. I don’t think we could have asked for a better Realtor. We actually had the house on the market two or three other times, and in the past we didn’t work with a realty team. Every step of the way they went above and beyond. They came out to the house and showed us little upgrades here and there that go a long way to sell the house. And it shows—we sold the house in three months! Just every step of the way the Joe Hayden Real Estate Team was outstanding. Anne Hayden provided excellent customer service! Very attentive and responsive to client's needs and concerns. They are available day and night! Highly recommend the Joe Hayden Real Estate Team. If you’re ever looking for the best possible real estate agent you can work with, consider Craig Greenwell with the Joe Hayden Real Estate Team. Craig was absolutely instrumental to us finding and getting our house. From the house showing, to bidding, inspections, repair negotiations, contractual details, closing, and every possible question we could throw at him (of which there were many), he was with us every step of the way. He is incredibly knowledgeable and pointed out pros and cons of each house that would have totally escaped us. He never however imposed, but offered his expertise as a guide or counsel, working according to our needs and interests. And on top of all the professional competence, he is as warm, kind, and genuine a human being as they come. Trisha and I could not recommend Craig more highly! My husband and I worked with Mike Gibson. He was amazing! Very timely, responsible and flexible with both our busy schedules. He was always ready to help, answer questions and provide guidance and support as we were first time home buyers. I highly recommend Mike Gibson and the Joe Hayden Real Estate Team, and will continue to share their name with our friends and family! My husband and I worked with Craig Greenwell when purchasing our first home and I have to say, it was the best experience! Craig is so honest and sincere that it's easy to trust him and his expertise. Craig is super-knowledgeable about home construction and repair and he gave us great advice with each house we toured of how we could do small things to improve the value of the home it was ours. He also helped to steer us away from homes that wouldn't be the best value for us. Now that we've found our house, I'm sad we won't be working with Craig anymore! The whole Joe Hayden Real Estate Team was really great and made everything super easy, so I will always recommend them to people! We had the pleasure of working with Mike Gibson to find our new home in Louisville. Throughout the search and selection process, Mike was attentive to our needs and provided value-added assistance, advice, and counsel as we searched for just the right home. Mike understood the current real estate market and expertly helped us navigate the real estate process. He was knowledgeable of the areas of our search and actively listened as we expressed our needs and desires. In fact, Mike gently reminded us of our search criteria when we lost our focus and helped us recognize when we had found our new home. He made himself available day or night to patiently answer our many questions and provide direction throughout the process. He was always professional in his manner, courteous in his demeanor, and focused in his efforts on our behalf. Even more importantly, Mike made us feel valued as clients and as friends. It is rare these days to find dedicated and conscientious individuals like Mike, who strive to make service excellence, and client focus and satisfaction, more than just cliches. We would highly recommend Mike Gibson and the Joe Hayden Real Estate Team to any one seeking an experienced realty professional to guide them through the home-buying process. We had the opportunity to work with Shawn Hogle and found him very knowledgeable about the real estate business. He understood our requirements and budget, and provided his services to achieve our goals. He was very accommodating and patient in showing us houses and explained to us every detail and how it could impact maintenance cost. Overall, we were very satisfied with Shawn's expertise and co-operation. I would highly recommend him to anyone looking for their dream house. I want to thank Mike Gibson for handling the purchase of my patio home in Louisville, KY. He was a professional in all steps that had to be taken to get the purchase accomplished. As this was the first time I’ve bought a home on my own, his expertise was greatly appreciated. I will be glad, at any time, to refer Mike and/or the Joe Hayden Real Estate Team to anyone who is seeking a home in the area. We had to move very quickly on finding an acceptable condo, and we were supremely lucky to find Craig Greenwell to guide us from beginning our search to closing in two weeks. He was extremely rapid in all his responses, knowledgeable, hardworking, generous, patient, gave first class advice, used all available technology superbly, and kept us informed thoroughly at every stage. Our previous experiences with real estate transactions, good as they were, paled by comparison. We were very impressed with the comprehensive services offered by the Joe Hayden Real Estate Team. Craig also personally went far beyond the call of duty in accommodating us and steering our search to a satisfactory conclusion. We were very happy with the outcome! We were very fortunate to have worked with Mike Gibson through our first home buying experience! He was kind, thoughtful and informative throughout the entire process and we couldn't have asked for anything more! We're now in our new place and couldn't thank Mike enough for all of his hard work! I would recommend Mike and the entire Joe Hayden Real Estate Team to anyone! Anne Hayden was so efficient, helpful, and absolutely wonderful from the time we contacted her by phone and e-mails to purchase our home in Louisville, KY. We are in PA and needed help to do all of the paperwork on line. We can not say enough positive things about her and the Joe Hayden Real Estate Team. Mike Gibson of the Joe Hayden Real Estate Team assisted me and my fiance in the purchase of our first home. We had one of the lowest budgets around and he still had all the patience in the world. He always helped point out the things that we would not like about certain houses and never hesitated to answer questions honestly. It was obvious Mike was not with us to make "a quick buck." He was always available to look at houses the day we were available and never ever rushed any decisions. I would never recommend anyone other than Mike and the Joe Hayden Real Estate Team!!! My experience in the recent purchase of my patio home was very positive. I feel that I had great luck in that Craig Greenwell turned out to be the agent representing the Joe Hayden Real Estate Team. I did not have my own agent, and I'm so glad because I couldn't have had one that I trusted more. Craig's sincerity and caring about his customers is very evident. He is very detailed and very thorough, which surprised me. But pleasantly. I will recommend him to anyone I know interested in a real estate transaction of any type. We have experienced Mike Gibson's professionalism and his sincere desire that our new home selection was the best to be found. Mike guided us through all appropriate procedures to insure a timely and correct closing. After having dealt with a number of real estate agents whose sole motivation was to collect a commission irrespective of the client's real needs, it is refreshing to know that professionalism still does exist within the real estate industry. Anne Hayden was very professional in all aspects of the process. She responded to every question quickly. She gave excellent customer service and we will use her services in the future. She also showed a genuine concern for our needs and the needs of our new addition to our family. You won't go wrong using her as your Realtor! We read another review about Craig Greenwell with the Joe Hayden Real Estate Team where the reviewers said they were “Realtor spoiled” because they felt they had found the best. We feel likewise. We were first-time home buyers somewhat daunted by the complex process. Craig was our rock-solid support and guide from the first home showing to the final day of closing. He played the role of an advisor, never pressuring but simply offering his analysis when and as we needed it. Thanks to his substantial knowledge, he knew how to evaluate a home, pointing out both pros and cons that would have totally escaped us, all while providing us the space to make our decision. And just as importantly, he was honest when he didn’t know an answer. Craig was in constant communication with us, responding to each and every request, and proactively going out of his way to assist. All his professional competence was matched by a personality that is genuinely warm, kind, and authentic. We always felt at ease when working with him. And while we had, in fact, become expert daily browsers of house search engines, it was Craig himself who actually introduced us to the home we ended up buying. (We were head over heels the moment we saw the house, and we were at his office till midnight working on the first bid.) Though it’s likely that we’ve found our “forever home” thanks to Craig, if we ever needed to sell or buy again, there’s only one person we would work with. Call him and find out for yourself! Mike Gibson with the Joe Hayden Real Estate Team was very good to work with. He provided Deanna and myself with quick information about new property offerings which put us in a position to make our recent purchase - Thanks! I recently bought a condo in Louisville, Kentucky through Meg Wilburn, of the Joe Hayden Real Estate Team and would highly recommend her as an agent. I visited here in February to start a search, however my condo in Myrtle Beach had not yet been sold. Meg took a good amount of time to show my friend and me several listings in my price range. I found two in a condo building which I liked very much. However, no decision could be made yet. During the next five months, Meg continued to stay in contact with me, sending other listings. In June, a condo in the building I liked came on the market and I had to move fast to make an offer. Thankfully my condo had sold a few days before. We just bought our first house with the help of Craig Greenwell, one of the Realtors from the Joe Hayden Real Estate Team. Although this was our first time actually buying a home, a couple of years back we tried to buy a property in Miami, so we were familiar with the process. Also, we have moved 3 times during the last 6 years, so we have had many experiences with Realtors previously (many of them pretty bad). I can say I am very satisfied with Craig's work and we are very happy with our new home. After our previous experiences with Realtors, the 3 most important requirements one needs are honesty, knowledge of the market and dedication (and honesty seems to be a luxury in the real estate market this days). Craig Greenwell has all three of them and is really a pleasure to work with. He was always available, has extensive knowledge of the Louisville area and is indeed a very honest man. Although we have different tastes he was able to understand our needs and work with us. He sees the home buying process as an investment and in this rocky market that’s a big plus I believe. They have a wonderful team and their office manager, Sally Hall, who assisted us during the closing process, is just superb. I will certainly recommend Craig without hesitation. We had a fantastic experience with Mike Gibson from the Joe Hayden Real Estate Team!! From start to finish, Mike was extremely considerate of our needs. He made himself available 24/7. The process was painless and efficient. Thank you Mike for getting me into my first home!! Moving from another metropolitan service area, I didn't have a Realtor. I saw a listing on the Internet that I liked and that's how it came to be that I reached out to Meg Wilburn, with the Joe Hayden Real Estate Team. Almost instantaneously, I saw proof of a knowledgeable, capable, buyer-first real estate expert. I absolutely would recommend working with Meg Wilburn and the Joe Hayden Real Estate Team. My husband, daughter and I were looking for a home for my daughter. We were looking on our own. The home we found required us to have an agent. Luckily, we were paired with Anne Hayden. She was great. She never tired of answering all our questions. She was our liaison with a builder who was difficult at best and rude and unresponsive at worst. She was persistent when the builder wouldn't respond. She guided us through the whole process with great expertise. I would strongly recommend her to anyone. Her office staff was GREAT also. Because of issues with the builder, our closing was rescheduled 3 times. Her staff quickly responded to the changes and was always pleasant. Use this team - you won't be sorry. Hello. I just want to let you know how much we love our new home! Being less than 2 miles from work is WONDERFUL, not to mention we are close to most everything! It is so quiet in our little cul-de-sac. We don't miss living close to Churchill Downs at all. Derby festivities, Iron Man, and all of the other road-blocking events will no longer be an issue. Having an actual driveway is also amazing!!! Mike Hubrich is a terrific Realtor. I appreciated his guidance throughout the process of both selling my former home and buying my current home. This was the first time for me to sell and buy at the same time and there was so much I didn't know! His sense of humor was really helpful during some of the more stressful moments. I'm so thankful he was so kind during my several meltdowns as well. I didn't realize how emotional this process could be. I nicknamed him the "dog whisperer" after he was able to calm a German Shepherd at a home where the owners didn't use their best judgment - that "puppy" was NOT happy to have us visit HIS home. Also, Mike came to help replace the cover for the crawl space at my former place after a potential buyer removed it and couldn't replace it! He even removed the Black Widow spider (if you knew how terrified I am of spiders, you would understand). I would recommend Mike and the Joe Hayden Real Estate Team to anyone. Thanks for everything. I hope you all enjoy the upcoming holiday season. We could not be happier with the service and knowledge that we experienced with Mike Gibson of the Joe Hayden Real Estate Team. Throughout the entire process he was knowledgeable, professional, and trustworthy. At no point did we feel any pressure to make a decision on a property. In such a competitive market as Louisville, availability is highly important, and more than once we visited potential homes less than a day from when we first saw the listing. He responded quickly to every reach out, even on holidays. Once we were ready to make an offer Mike was crucial in helping us prepare and schedule inspections. He kept in constant communication with the selling agent and provided invaluable advice on creating an offer that would be both fair and impressive to the buyer. We are excited to continue working with Mike as we have multiple properties in the works. I would highly recommend giving Mike a call and securing him as your real estate agent! We have no criticism on the services provided by Craig Greenwell. His service was excellent. His attention to detail was phenomenal. Every step of the way, he was there for us. We appreciated all the guidance he provided and will highly recommend his service, and the Joe Hayden Real Estate Team, to all of our friends and acquaintances. Thank you all for the great customer service! Mike Gibson, I have to say. You are by far the best partner I’ve ever had in this process. Not sure how we lucked out, but for once the sun shined on me. Thanks for being there. We decided to relocate from NY and called the Joe Hayden Real Estate Team. We were connected with Sally Hall of the firm. She immediately demonstrated professionalism, expertise, kindness, and concern. We communicated with Sally several times, she took us on tours of possible residences, and completely answered all our questions and concerns. Sally always returned phone calls promptly. Ultimately were we successful in finding a residence and closed on December 23, 2015. Without hesitation I can state that the success that Sally Hall has is her desire for perfection and complete customer satisfaction. I’ve bought several homes previously, but in no case has anyone been more responsive, more professional or more courteous than Mike Gibson. He was the ultimate professional; knowledgeable in the field of real estate, incredibly cognizant of the different neighborhoods in the Louisville area, readily adaptive to our changing parameters and expectations. He was always available by telephone or email, always having data in-hand or getting it remarkably quickly, and he has become a most trusted advisor. Professionals like him, in any field or occupation, are incredibly rare to come across. Mike Gibson is, although perhaps not one-of-a-kind (I haven’t interviewed every Realtor in the world), a truly unique individual. He’s the type of professional that one can feel comfortable with, in that he’s representing your interests in the best possible way. I’ve felt like family throughout the home-buying process, and there’s no better way to go about conducting business. Craig Greenwell is the definition of an exemplary Realtor. He is incredibly easy to talk to, he is very patient and very understanding of his clients' needs and he is fun to work with. He is very honest and trustworthy as well and I felt completely comfortable taking his advice because I knew he sincere. He was available anytime we needed him and that included evenings and weekends. He was truly "on call" for us and made us feel important and valued as clients. My husband and were first-time home buyers and navigating those waters was very challenging. It was especially hard because our parents were not close by to advise us and this meant that we were our own in the home-buying process. Working with Craig was like having my father and father-in-law with me during every showing and that alone was really priceless. I was ready to buy everything I saw and he was there to guide me back and suggested I look at multiple homes in multiple neighborhoods before I committed to anything. He made more work for himself to ensure that I understood what I was buying. He took every opportunity to point out structural as well as cosmetic problems with every house we saw (things that we would have never even noticed) and even steered me away from buying a particular house because he felt that the structural integrity had issues, the homeowners did not maintain the house properly and it would have become a money pit in order to fix all of the issues. He really put our best interest in front of his own and took the time to find us the right fit. That is a really rare quality these days and Craig is an exceptional person. Our main goal was to buy an affordable property to live in for the next few years and then sell and move back to Michigan. Craig always offered suggestions for how we could update each particular house to see a higher return when we decide to sell it and offered ways to make it as ideal as possible for resale without sinking unnecessary money into the properties. As a Louisville native, he is incredibly knowledgeable about the unique real estate market in Louisville and the homes he is selling. He even went out of his way to help us rent our apartment out so that we would not be stuck with a mortgage and a monthly rent. He truly cares about his clients and it shows. If I were to sell my house or buy a new one, Craig is the first person I would call. I feel "realtor spoiled" now and it will be very hard for the next person to fill Craig's shoes should we every buy a house in another market. My husband and I are going to miss him but hopefully he'll come visit and take a dip in our hot tub!!!! Thanks to Craig and the Joe Hayden Real Estate Team! Thank you for handling my home search and all matters pertaining to such in a timely and professional manner. You have made the home search experience painless, informative, and entertaining. My daughter Elizabeth could not have done a better job finding you to be my Realtor, Mike Gibson. In my humble opinion and experience thru the years of moving and purchasing homes here and in Europe as well, you by far have exceeded our expectations in every possible way. Thank you for the treats that kept me going on our long travels in search for the perfect home, and you did find my perfect home and I can't thank you enough! We worked with Sally Hall of the Joe Hayden Real Estate Team to find our first home. She was very accommodating to our requests and showed us each home we asked to see, she was also able to recommend a variety of houses all within our price range. Sally helped us find a great home in a wonderful neighborhood. Mike Hubrich, just a short note to thank you for your efforts in our recent home purchase. First, you efforts in working with my son and his fiance to find a quality home that they could afford was outstanding. Second, was your ability to handle difficult sellers and your assistance to me in negotiating the long closing date on the home. Please feel free to use me as a reference and thank-you again. Sally Hall of the Joe Hayden Real Estate Team was very polite and helped during each process of finding our new home and selling our old home. She stayed in touch with us either by email or phone and was very quick to respond on any question. I wanted to give Mike Hubrich and the Joe Hayden Real Estate Team a quick review. #1 Professionalism , Mike was very professional with a laid back attitude. He really honed in on our home buying needs. #2 Satisfaction of service. Mike remained available to us at all times through our home buying process. He even answered a email during a Christmas party! He was dedicated to finding us the right house for the right price. #3. Would we refer him again to someone we know? Well of course! I hope this answers questions about Mike’s review of service. Smooth ride to homeownership! One more thing - the pamphlet Mike gave us with everyone's contact info was a extra bonus. Keep doing that! Thank you all. We highly recommend Mike Gibson of the Joe Hayden Real Estate Team as a Realtor. We were moving to Louisville from Massachusetts and wanted someone we could rely on. We were fortunate to find Mike Gibson. For five months Mike was there whenever we needed him. He always promptly answered every email or phone call. Throughout the process of new construction, he was always there to mediate on our behalf with the builder. He made the process of having a home built from 1,000 miles away easier for us. We will always be thankful for his professionalism, knowledge and kindness. We worked with Sally Hall who was very knowledgeable, helpful and a pleasure to deal with. She was always quick to respond. I would recommend her to others. We spent the last eight months rehabilitating a former rental property to prepare to sell. When several of our friends and neighbors learned of our project, we got a handful of referrals. We sorted through the names we were given, however we elected to conduct our own search for an agent. In doing so, we learned there’s a reason why Mike Gibson impressed us from the start and is one of the most highly reviewed Real Estate agents with the Joe Hayden Real Estate Team. During our first meeting, Mike was down to earth and approachable. He was extremely patient with us as he took adequate time to educate us in the process of selling our home and to share how real estate transactions have evolved and changed over the years. He assured us that he would be there to help us overcome any hurdles we encountered by selecting him as our full service Realtor. As we worked with Mike, we learned that he was the ultimate experienced professional in his craft. He worked diligently to ensure we received the most value for our home through a thorough review of comps and a carefully written description of the home for sale to entice potential buyers. This step was very important to us because of the amount of money we had invested in the rehabilitation of this property. Because of his attention to detail and extensive knowledge we completely trusted and felt confident in his guidance and recommendations throughout the process. When it came down to handling the offers we received, he worked extended hours to accommodate a potential first offer, and when that did not materialize, he quickly shared the feedback with us. We found him to be extremely responsive to any questions we had. As a result of his solid marketing approach and strong communication skills, we sold our home after less than a week on the market. We couldn’t be happier with our choice to go with Mike Gibson. The entire process was seamless. We fully intend to rely on him as our “Realtor for Life,” going forward and we highly recommend entrusting Mike with any of your future Realtor needs. He won’t disappoint you we promise! Please rest assured that Sally Hall of the Joe Hayden Real Estate Team exceeded our expectations and we would not hesitate to contact her in the future. We'd recommend her highly to any friends looking for a Realtor. I called two other Realtors before I found her. Both heard what I needed and promised to research and call me back. I was unhappy when they never called back, but now I'm glad, because I think we got the best! We don't know the business, we were buying from another part of the country, our budget was small, and we needed it the day before I called. Sally made it happen as quickly and smoothly as humanly possible. Although an agent with another realtor found the condo I eventually purchased, she or her team did not follow up when I requested to see the property on more than one occasion. Mike Gibson contacted me and hit the ground running. With his assistance the seller accepted our bid, but several hitches developed due to the inspection process none of which were the problem of Mike or the Joe Hayden Real Estate Team. Mike stuck with me and helped me navigate the land mines aided by his substantial experience which ended in a very satisfactory experience. I was very satisfied with the results that we received from the Joe Hayden Real Estate Team. Meg Wilburn was able to keep us informed about everything and answered my questions when I needed them to be answered. I wanted it sold within a certain length of time and we were able to get it done so I’m pretty happy. She was just there when I needed her. Anne Hayden worked with me for a whole year because I wasn’t quite sure what I wanted. She was very patient and every time she greeted me, it was with a smile on her face. She was very encouraging and when I finally found what I wanted, she got me through every step of the way. It was an excellent experience. Recently, I switched career paths and took a new job. This required my wife and I (and our 6 month old daughter) to relocate from California to Kentucky. We did not know the area or have any close friends to help show us around. Turns out, we didn't need any of that. All we needed was Mike Gibson and the Joe Hayden Real Estate Team. With the help of people like Mike Gibson and Sally Hall the relocation process went as smooth as it possibly could have. Mike's experience and knowledge of the Louisville area made it easy on my wife and I to filter out hundreds of homes and focus our limited time on the homes that we knew would meet all of our wants and needs. We have been living in our new home for just over a month now and we are thrilled to be a part of our new neighborhood. I strongly recommend the Joe Hayden Real Estate Team and specifically Mike Gibson. The professionalism and attention to detail that they displayed was superb. They treated us like one of their own. Anne Hayden was always available to me and texted me back at all hours of the day or night. She walked me through the entire home buying process and really just has a lot of expertise in the field. Any time I needed her, she was there and just went above and beyond on a consistent basis. We had already come into town and then found out that the school systems in Jefferson County weren’t the greatest. Mike Gibson of the Joe Hayden Real Estate Team basically had that evening to find us a different set of homes to look at the next day during an ice storm. He had to do a lot of work but he booked us a ton of houses. They sold my mother’s home and I was very glad that we found somebody who was interested. Anne Hayden showed the home a lot of times and always kept me informed. I was out of town and she would always call me and even worked with me when I had a few repairs and things to do. She was just very helpful! My husband and I were selling a house for the first time and buying a new one for our growing family. We could not be happier with our experience with Craig Greenwell and the Joe Hayden Real Estate Team. Craig went above and beyond working to help us prepare our house, was a great communicator, was always quick to answer and ease our worries and truly cared about us as individuals. He also was extremely knowledgeable and worked to make sure he was fitting our individual needs. The whole Joe Hayden team worked alongside us, letting us know what was going on every step of the way. When we bought our first house, we had a negative experience with a Realtor which made us nervous about selecting a Realtor this time around. However, working with Craig and the Joe Hayden team could not have been a better experience. I would HIGHLY recommend this team and Craig especially if you want someone who will go above and beyond for you, someone who truly knows what they are doing, and someone who truly cares about you as individuals. My wife and I are very pleased with our new home. Everything went very smoothly. I want to thank Mike Gibson of the Joe Hayden Real Estate Team for making this such an easy experience! He did a great job of showing us houses that met our "must haves" and "prefers" list. We really appreciate all the great guidance he gave us in making an offer and going through the contract process. And we're appreciative of Mike for taking care of all the inspection and other issues. Mike was easy to work with and very quick and professional in acting on our behalf. My fiance and I had an amazing experience with our Realtor Mike Gibson. He was kind, passionate about his work, and was always readily available for us new home buyers when we had questions or concerns. He truly made the our first home buying experience easy and quick. We never felt stressed during the process and he always kept us well informed. I HIGHLY suggest anyone looking for a Realtor to go with Mike at the Joe Hayden Real Estate Team. We have suggested him to friends of ours, that is how confident we are in him. He is an awesome guy and we plan on using him again if we ever need to move. Our experience with the Joe Hayden Real Estate Team was priceless. This was really the first time my fiance (Steve) and I had gotten to a point where we were ready to purchase - at least that is what we thought. When we met Mike Gibson, he really schooled us on a lot of things which were good things to think about when making a lifetime commitment to purchase a new home. We had looked at a lot of different types of homes - patio homes, single family homes, East End versus South End, and we sent Mike through it all, but we eventually settled on a patio home in the South End. He sent us home with homework a couple of times and things to think and talk about. We knew that we had someone in our corner who was really looking out for us, not just trying to sell us a home. Mike, as I like to call him because he really became a good friend, answered all question big or small, no request was too small. Even when he had to step away for a while to take care of a personal matter, he left us in great hands with the rest of the team. We didn't have any problems whatsoever. They all are very thorough with handling their clients. We feel exceptionally fortunate to have engaged Mike Gibson (from Joe Hayden Real Estate Team) as our realtor for our relocation from the West Coast to Kentucky in summer 2014. Our initial phone call with Mike when we were looking for a realtor was very positive – he was extremely helpful in providing information, and did not pressure us in any way to work with him or his company. A follow up call where we discussed details of the reasons for the move, and what we were looking for in a house and a neighborhood convinced us that we could work well together. Given it was a cross country relocation, we did not want to make multiple trips to look at houses, so we spent significant time researching neighborhoods and houses on the internet. Mike reviewed the lists of properties we were considering, researched any potential issues, and advised us as to whether the properties would fit the criteria we had given him. He was extremely helpful in using his extensive Louisville experience and expertise to narrow down and prioritize our list of neighborhoods and properties. Mike was very responsive – often we heard back from him within hours – always within the day with a response to our inquiries. We arranged to spend one week in Louisville, our intent being to visit the properties and make an offer on one during that week. Mike set aside a large portion of the week to work with us, and with the assistance of his excellent office manager, set up showings of multiple properties in several areas around Louisville. As we visited properties and gained more information, we refined our criteria, and consequently had Mike modify the showing schedule on the fly – twice! He was very accommodating and was able to accomplish this seamlessly. Mike was a wealth of knowledge – on neighborhoods, home construction types and trends, value for money, resale value, windows, carpets, landscaping, lifetime of appliances and furnishings, pools, terrain, etc. In addition to his expertise in the legalities of real estate transactions. Coming from out of state, we could not have felt nearly so comfortable purchasing a home within such a short timeframe, had we not had his local expertise guiding us. The upshot was that by the third day in Louisville with Mike we had an acceptance on our offer for a property that was ideal for our family. We are now very happy owners of that home! Mike helped us through all the contractual and closing details, which we were doing remotely from the West Coast. He arranged the necessary inspections, and was present for such inspections when we could not be. Since we have moved in, there have continued to be small details that need to be taken care of, and given we are new to the area, Mike has been very helpful in connecting us with the appropriate resources. We found Mike to be both highly experienced and highly knowledgeable. Beyond that however, what we particularly appreciated was he really cared that we find the right home for us. He took time to understand what was important to us, and was honest and upfront in his assessment of different aspects. He is also extremely personable – we much enjoyed the time we spent with him on the “house hunting tour”. We would definitely continue to work with Mike for any real estate transactions in our future – and we recommend him without any reservations. We listed our condo with agent Anne Hayden. She was so easy to work with. This was the first property we have sold and she walked us thru each step professionally and patiently. Her advice was correct at every step of the process. She returned all contacts from us promptly and covered tasks when we were out of town. I would not hesitate to recommend her to others putting their property on the market. From listing to closing took 6 months and that included a long delay waiting on buyer financing. There were frequent showings. Joe Hayden and his staff are top notch, all the way around. Joe helped us find the perfect home without doing any of the pushy sales stuff that naturally comes with most real estate firms. Joe was very professional in every regard, but still managed to make the process of finding our home "fun" at the same time. His knowledge and expertise in our target areas and in home craftsmanship was spectacular and truly helped us avoid problem homes. Pick Joe Hayden as your real estate agent and you will be very happy you did. We worked with Russell Loving. He was great! He jumped through many hoops and was always willing to go the extra mile to get us into the house that suited us best! We will most definitely recommend Russell and the entire Joe Hayden Real Estate Team in the future! Great job, Russell!! I was very pleased with Russell Loving from the Joe Hayden Real Estate Team office. I selected houses to view and he set them up for me working around my schedule and the difficult schedule of my husband as needed. When I was displeased with the houses I selected, Russell would take the homes I liked and find out more in depth information about them. Overall it was a pleasant experience. While returning to our home town of Louisville, Kentucky after working in Indiana for almost 15 years we were very fortunate to have been able to work with Mike Gibson in our search for the place we now call home. He was very knowledgeable and remained flexible in accommodating our crazy schedules and whims along the way as we looked at many, many different types of properties. We would highly recommend Mike Gibson for any of your real estate needs! Mike Gibson has been a wonderful and insightful Realtor and friend to me during this process. This was my first time purchasing a home and I was very uneasy about the whole process. Thankfully, through support of my family and Mike I was able to find the house for me. During the process, Mike had to put up with my stubbornness and determination (to find that perfect house) while we looked at a handful of houses. There were times that I was about to walk away from the deal and Mike's encouragement opened my eyes and I was shown the reality of the situation (which was never as big as I made it out to be). I want to thank Mike (and his family) for all of his time and efforts in finding me a house for me. I am now happy and settled in a place I can call my own! Mike is a wonderful person and I am honored to have been able to work with him in this milestone of my life. I recommend Mike to anyone looking for a home because I know that he will be honest and open about the good and the bad. Thank you Mike for being there for me and putting up with my stress! I cannot say enough positive things about my experience with Mike Gibson. His professionalism, work ethic, and genuine care for my wife and I made our first home buying experience fun and very successful. This was no easy task as most of our search was done over the telephone and internet while I was transitioning out of the military across the country. Mike was always patient, understanding, and informative. He never failed to make me feel like we were his only clients, even though I know his stellar reputation keeps him a very busy man. His 40 plus years of experience were invaluable for a first time home buyer with little to no knowledge of the area. He was able to tactfully and respectfully educate me on the home buying process using his vast knowledge of the local market. A warm and caring person, I always knew Mike had our best interests at heart. I realize a lot of Realtors probably say that to their clients , but after working with him I know that he truly means it. I recommend Mike Gibson and the Joe Hayden Real Estate Team with enthusiasm for all your Louisville area real estate needs. I know that when the time comes to sell the beautiful home he helped us find, Mike will be the first phone call that I make. Mike: Again, I can't thank you enough. We are incredibly happy and enjoying our new home. I hate that it has taking me two months to do this review, but it in no way reflects how my husband and I feel about the experience we had with Mike Gibson of the Joe Hayden Real Estate Team. From the first time we met Mr. Gibson we felt like he was someone we had always known. We wanted a Realtor who would be honest and care more about learning our needs and wishes then he was in making the highest sell. We got that and more in Mike Gibson. He is a truly genuine person who has the years of experience in the field to back up his knowledge. We thought this process would take months, instead it took about three weeks. Mr. Gibson was patient and helped us to keep our heads on straight throughout the nail biting process. I would highly recommend Mike Gibson and the Joe Hayden Real Estate Team. Mike Gibson with the Joe Hayden Real Estate Team worked feverishly to find my wife and I our dream home. I know he deals with many people, but his amazing service and attention to detail made us feel like we were his only clients. I thought Mike Gibson, our Realtor from the Joe Hayden Real Estate Team, was always going above and beyond. He listens well and makes sure he understands what you’re asking for so he doesn't waste your time. Since I was moving from out of town, he would adjust his schedule to fit mine, and spent some lengthy days looking at houses. He’s been a friend ever since. The whole experience was just really excellent. My husband and I recently used Laura Wheeler with the Joe Hayden Real Estate Team for the sale of our house in Oldham County. We found Laura to be exceptionally fun to work with, extremely knowledgeable, and she was "on it" when it came to any requests we had. She showed our home more than any other agent and the house sold within 45 days! Her expertise in staging the home was a tremendous help and we thoroughly enjoyed working with their team!!! We would recommend Laura Wheeler and the Joe Hayden Real Estate Team to anyone and if we need an agent again, it WILL be them! My wife and I used Laura Wheeler from the Joe Hayden Real Estate Team to purchase our house. She was always willing to go above and beyond her responsibility to assist us with our AMAZING purchase!!!!!! She is a positive reflection of The Joe Hayden Real Estate Team and what buying a home should be about. I would recommend Laura and The Joe Hayden Real Estate Team to anyone who wanted to buy house. Even to decorate your new home if needed. We used Laura Wheeler for both the purchase and selling of our home. She was more than excellent. Very informative and helpful and really seemed to work for us. She had great ideas on getting our home 'show ready' and I felt like she put an extra foot forward in selling our home. When purchasing our home, I flew in from Texas and she met with me and showed me around to several different homes all in a day. She coordinated all the showings in advance and kept us moving because she knew I had to catch a flight back that evening. She went above and beyond. I recommend her to anyone and everyone who may be looking to sell or purchase a home. Laura Wheeler has been our agent when we sold 2 houses. Kudos to her - she is absolutely fabulous. The first house had been listed with another agency and when the listing expired Laura took over. It sold in a few weeks. She is superb at staging the property and has a terrific personality. I honestly cannot praise her enough. I purchased thru the Joe Hayden Real Estate Team last month and wanted to tell you how great it was to work with Frank Campbell. He was just the person I was looking for to help me make a great educated decision on the largest investment in my life time, my new home. Frank was always on time and understood my likes and dislikes right off the bat. Even after the sale when the previous owners moved out they left their above ground pool, which they where contracted to take. Being that they had moved to Colorado, Frank offered to take care of problem himself. So last weekend we got together, tore down the pool and discarded it appropriately. Frank even got dirty and didn't mind at all, and that to me speaks a lot of his character. Thank you all for your business and providing great service for me plus I made a friend in the process. PS - Your website is great! It's how I learned about your real estate office. Our buyer's agent, Frank Campbell, was always courteous and professional. He put forth the effort to help us find our first home, including making himself available on nights and weekends to show us listings that we were interested in. Our mortgage lender's representative was a bit difficult to deal with and Frank handled it very well without losing his positive attitude or his kind demeanor. Once we found our home, the seller's agent was quite slow to communicate during the buying process, sometimes not responding to us for several days at a time. Frank did what he could to keep forward momentum in the process without hounding them. Everyone has their own style when it comes to dealing with uncooperative people, and Frank's style is to maintain a certain degree of space in order to keep things from turning hostile. Other buyers who are looking for an "attack dog" agent will not likely not find it with Frank, but we were pleased with him and would work with him again. He's a really nice fellow. There are such things as happy accidents! I stumbled upon my Realtor, Frank Campbell, totally by accident and I couldn't be happier! He was amazing! He was professional, courteous, patient, knowledgeable and every other positive word you could think of to describe someone. We dealt with a few Realtors before Frank and they were so bad we were thinking about not using one at all - Frank changed all of that! I would recommend him to all my friends and family without hesitation. Thanks Frank! This was home purchase #7 for me and it was definitely a great experience using Frank Campbell of the Joe Hayden Real Estate Team. Thank you for that. I have nothing negative to say. In fact, I've already shared your contact information. As you'll recall, the first house I looked at resulted in a deal that went nowhere. Following that, you engaged me in conversation, listened to what I had to say and generated a list of potentials that proved to successfully convey the winner. I've never had that before. So, in short, keep up the excellent work and THANK YOU. I worked with Ashley Deskins for my first home buying experience. She knew what kinds of things I needed to be looking for in a first home. She steered me in the perfect direction and found the absolutely PERFECT home. Believe me, I am not easy to please either! I was dreading the whole process, but she made it very easy. At the end, I was left saying "Is that it?!" despite hearing how hectic it can be. She was incredibly speedy and knew the market much better than me. I have recommended her and the Joe Hayden Real Estate Team to all my friends and coworkers. Our first time home buying experience with Ashley Deskins was great! She knows the market well and was able to get to know us, so that we could find the perfect place. She took a process that is often viewed as overbearing and stressful, and turned it into a surprisingly easy experience. We were able to find the perfect home within a matter of weeks, thanks to Ashley's promptness, professionalism and patience. It was truly an honor to be able to work with such an outstanding Realtor and friend. 5/5 stars for sure! Agent Jillian Lewis with the Joe Hayden Real Estate Team was professional and extremely prompt answering any questions or requests I had throughout the entire purchasing process. She provided creative solutions to challenging situations. We were so happy with Jillian Lewis! She was always professional, but still fun to be around. She responded to any questions we had quickly and we honestly have commented many times on how lucky we were to have had her as our realtor. We also thank you, Sally, for all your help. I know it was frustrating at times, trying to get a response from our "friend" at USAA, but you always came through. All in all, we highly recommend Jillian and the Joe Hayden Real Estate Team. We LOVE our condo. Tell Jillian the black counter is gone, and new cabinets have been ordered and will be here in about 4 weeks, along with new granite counter tops in the kitchen. Other than that, we haven't had to do a thing! It's been amazing. Thanks again for everyone's help! Everyone on the Joe Hayden Real Estate Team was awesome and we couldn't be happier with our new home! Not only did Jillian Lewis sell our previous property in a timely manner but she also was the one who found our new home. We could not have done it without her! The communications from you and Jillian were great! We appreciated the updates and info. We never felt like we were in the dark. They were really great. Jillian Lewis helped me find a house. She explained the entire process to me. This is the first time I’ve ever bought a home. Any time I had questions, I could call her. She helped me find mortgage people, home inspectors—anyone I needed. I felt like she really listened to all the facets that I needed for my family, and kept them in mind when we were looking for houses. She was very patient and a lot of fun to work with. It was a pleasure to work with of the Joe Hayden Real Estate Team. A very kind person, helping us with a lot of time and dedication to get the house that we were looking for and not a house to buy quick. It took several houses to go around looking at the good and the bad and we didn't get the pressure with her to get a home which wasn't the right one for us. She always was trying to be sure that we were buying "our house". Once we found it, she took care of every single detail with the seller's Realtor to complete all paperwork, inspections and any requests to the sellers. My husband and I were very impressed with Shawn Hogle and the Joe Hayden Real Estate Team! Shawn went above and beyond to help us find the right house and walked us through every step of the closing process making it stress-free! 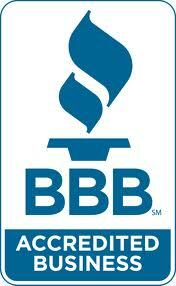 They provided us with an excellent home inspector and were always there to answer our questions! We highly recommend Shawn and the team to anyone looking to buy or sell a home! I would like to thank Russell Loving for his incredible patience with me. Finding a home is not easy. Russell was very honest and upfront on any questions I had. He works with a well-organized team who kept me informed about upcoming due dates, changes in scheduling and so on. Please take time to meet with the Joe Hayden Real Estate Team for your future home. Russell Loving keep up the good work! I was looking to buy after renting in Louisville for years, aiming for a property downtown. I met Meg Wilburn while looking at a home I'd seen on the internet. This was my 2nd go-round to look for a home, the last being 3 years ago. I've met plenty of agents. She was the first agent of many I'd met in similar situations who took time to ask me what I needed, what I wanted, rather than try to fit me into a home she had for sale. She and her assistant, Sally Hall, and the Joe Hayden Real Estate Team behind them made my offer and purchase seamless and stress free. I couldn't have asked for a better pair and group than this.